IEMA highlights importance of disaster preparedness for people with functional and access needs during the month of May. While most disasters can’t be prevented, the stress of such situations can be reduced significantly through personal preparedness. This preparation is particularly important for households with members who have disabilities, functional needs or may need assistance during an emergency. Throughout May, the Illinois Emergency Management Agency (IEMA) and local emergency management agencies are highlighting the importance of disaster preparedness for people with functional and access needs. 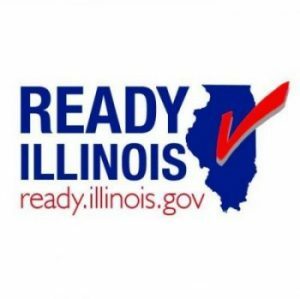 Robertson said IEMA has information available on the Ready Illinois website (www.Ready.Illinois.gov​) to help people and caregivers prepare for emergencies. A guidebook, “Emergency Preparedness Tips for Those with Functional Needs,” offers preparedness tips for people with visual, cognitive or mobility impairments; people who are deaf or hard of hearing; those who utilize service animals or life support systems; and senior citizens. For each functional need, the guidebook provides a list of supplemental items for a disaster kit, tips on developing an emergency plan, suggestions on how to be better informed about community emergency planning and a checklist of preparedness activities. The Ready Illinois website also offers more than two dozen preparedness videos in American Sign Language on such topics as what to do before, during and after tornadoes; severe thunderstorms and flooding; how to build an emergency supply kit; and what to do if you’re instructed to evacuate. These resources and more can be found on Ready Illinois’ Functional Needs page.